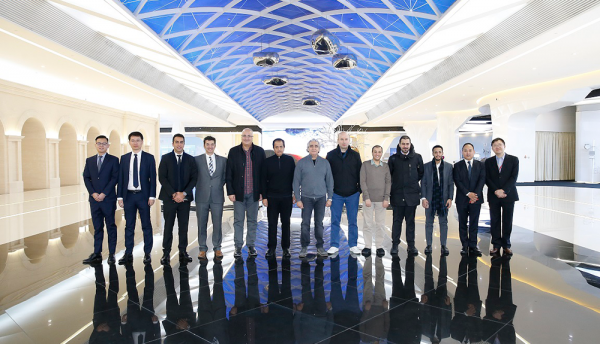 A delegation from Qatar has visited Huawei’s headquarters in Beijing. Representatives of Qatar’s Ministry of Commerce and Industry (MOCI), along with senior figures from Qatari companies, visited China to gain an understanding of how the latest ICT solutions can contribute to Digital Transformation. The visit took place on the sidelines of the Qatar-China Business Forum, which was organised by the Ministry of Commerce and Industry. The forum brought together government officials and representatives of the Qatari and Chinese private sectors. Qatari and Chinese participants signed a number of MoUs in a bid to enhance co-operation in information technology, promote the exchange of expertise and bolster investment partnerships. Huawei gave the Qatari officials and businessmen insider access to their state-of-the-art laboratories and research centres as well as the opportunity to meet with top executives to discuss ICT’s role in driving the development of key verticals. This visit and discussions will help Huawei to better serve Qatar’s national ICT and telecommunication needs in the long-term.